Democracy is a system governed by people who are elected by the population. Once in every 5 years they use their right to vote. They vote the person of their choice, usually without any external pressure. Since it is the kind of political system based on people’s choice, the elected authority can therefore be held accountable for his actions. Democracy exists in two major forms; presidential and parliamentary. Voting is done to elect the representative. The party which has majority of seats in parliament makes up the government. Earlier the votes were cast based on tribes and references which depicted the lack of education and increased peer pressure. But now due to globalization and advancements, people are more mobilized than before so they cast their vote evaluating the candidate’s performance. In a democratic system people are treated as the highest authority, they have every right to know what is being delivered by their elected representative. Power in this system flows from people to leaders temporarily. The elected representative should listen to the demands and recommendations of people in order to provide them with the basic needs and necessities of life to govern society. All the candidates have equal rights to run their electoral campaigns in order to convince the general public with catchy notions and ideas. A proper mechanism should be there to check, monitor and evaluate the electoral process and election results. The results can then be announced via different means; electronic or print media. Equal rights of voting have been given to everyone irrespective of their religion, race or culture. These measures are important to keep the laws to run the country. One of the most pertinent characteristics for running a democratic system is accountability. The United Kingdom is considered the mother of all global democracies because they made a system accountable in that it caters to the rights of the people. This is one of the major reasons why the western world has been more successful than the eastern. Accountability matters way more than any other aspect for the prosperity of the nation. The government will deliver better results if the corruption could be minimized by keeping the accountability transparent. The world is a global village, therefore the practice of a democratic system determines the development of a nation. The accountable transparent democracy has a greater chance to cater to the needs of society. Accountable democracy results in delivering the rights to society, providing a fair judicial system, health, transport, education, trade and so many other aspects, consequently aiding in the maturity of a state. It could be based on recommendations and feedback provided by the stakeholders to make the policy changes. Well functioning accountability mechanisms are believed to provide incentives for governments to work in the best interest of citizens. The relationship between the government and citizens is very critical, as the government is accountable for decisions taken by them. Many countries need to improve the substantive elements of democracy, along with its check and balance to ensure that public goods are delivered according to citizens’ expectations. As democracy is for the people and by the people, the transparent democracy therefore brings out the best in society and people can enjoy their lives as they wish. Recent examples include when the ICIJ disclosed the investigation data related to members of parliament in different countries around the world, commonly known as the Panama leaks. A few heads of State resigned and presented themselves for accountability. 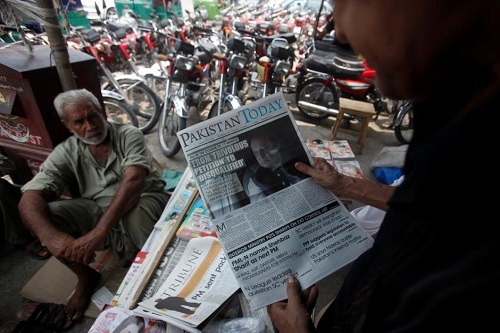 In Pakistan, the Chief Executive appeared before the Supreme Court and defended himself for the allegation made against him by the ICIJ. The premiere was unable to defend him in the court so he was disqualified from the highest forum of the country and was removed from the Chief Executive position. This was a result of a transparent democracy in Pakistan. If someone is found guilty, then he/she has to be punished for their deeds. That is why accountable democracy is the democracy that delivers, leading to a prosperous nation. 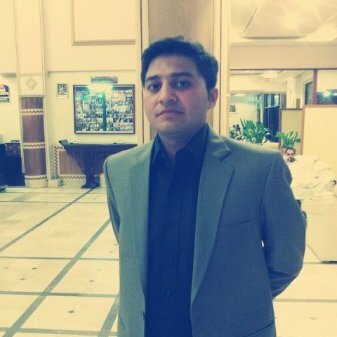 Muhammad Shoaib Khan is a journalist from Pakistan and has worked with NEO TV, Independent News, PBCand The Nation.